The Eccles put up a webcam, and now hundreds of viewers tune in every day to follow the lives of the birds, watching live hatchings and monitoring the chicks’ development. This is the story of an owl who came to live in a pot plant on the balcony of a suburban home in Johannesburg, South Africa. The “pot plant owl” had chosen to share its life with Tracy and Allan Eccles, the owners of the house, and from the moment she laid her first egg in 2008, the owl was to transform their lives and become an international star. 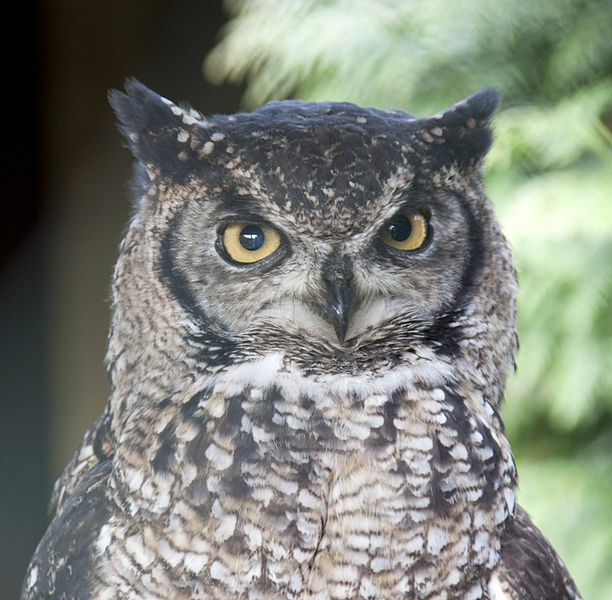 The owl was forced to abandon its natural habitat – on a wetland on the adjacent Green Belt – because early in 2009, bulldozers moved in and began felling the trees to make room for a property development. Allan and Tracy refused to sit back and watch this happen, so they contacted the Government to try to stop it. However, the protests of the Eccles and environmental agencies fell on deaf ears and the felling continued until the wetland was devastated. So, the Eccles decided to harness the power of the media to draw attention to plight of the owls. 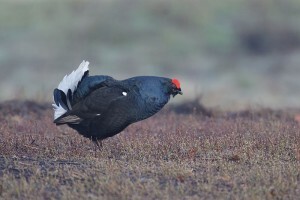 They began a petition on the internet to save the wetland and within just a few days they had reached 27 000 signatures. The Eccles also put up a webcam, and now hundreds of viewers tune in every day to follow the lives of the birds, watching live hatchings and monitoring the chicks’ development. With huge interest in the case and international support for the owls, the petition was delivered to the Department of Agriculture and Forestry and in June this year, the courts ruled that no development was allowed on the wetland site. The owl has laid eggs once again this year, bringing the total number of eggs laid in the pot plant to twelve, and continues to touch the lives and hearts of people all over the world. The story of an owl who came to live alongside humans highlights the resilience and adaptability of wildlife, but also demonstrates how resourceful people who care deeply for nature can utilise new technologies to help save local species and the habitats in which they live. 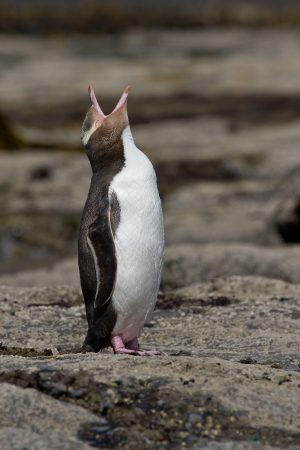 New Zealand’s iconic Yellow-eyed penguins could be extinct by 2060, according the the latest research, which shows that rising sea surface temperatures, fishing nets, toxins and habitat degradation are all to blame. 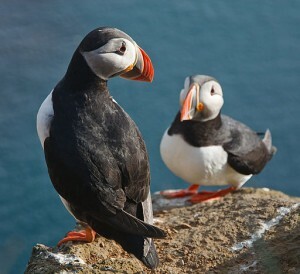 Extreme weather, predation and human disturbance are all threats to sea birds up and down the UK coastline. 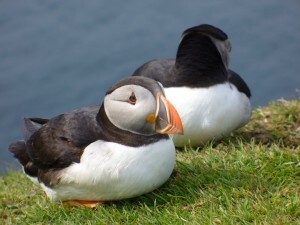 Most people go to see puffins. The bird for people who don’t even like birds: with their clown-like technicolour beaks and comedy routines, nobody could fail to be won over.